For fifty-four years Hains Pattern Shop has supplied the investment casting, injection molding industry, and the foundry industry with all types of wood and metal patterns, core boxes, and tooling. Aluminum wax injection molds, hardened D-2 steel ceramic injection molds (RC-60), and carbide molds for powdered metals fit the machining envelopes of our high speed mills and EDM. 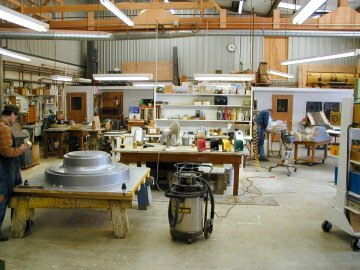 We also offer complete mold design service. 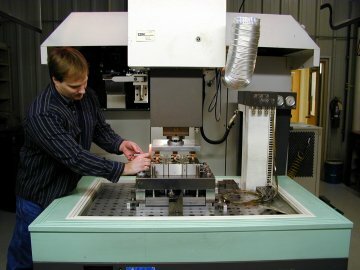 Molds made to fit your specific injection equipment from single cavity prototypes to multi cavity fully automatic water-cooled molds fall within our capabilities. Our wood shop can produce patterns up to 120” x 120” square flask size. We offer complete pattern design service. Patterns made to fit your specific molding equipment. We enjoy an excellent reputation for delivery, engineering, cost and service. Hands on foundry experience totals over 150 years for management and engineering personnel alone. We are able to discuss your pattern needs with direct, first hand knowledge, and experience. We also have the capability of communicating via e-mail with digital pictures taken from our digital camera. Pictures are used as progress reports, and very helpful in discussing questions regarding tooling. 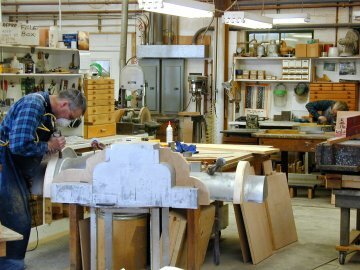 Most importantly, our shop is staffed with craftsmen who care about delivering quality patterns to meet your schedule. 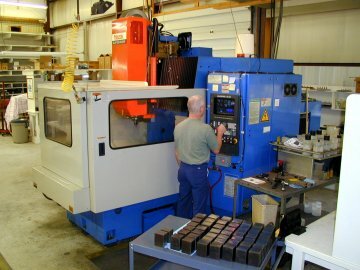 Our AGIE Integra Plunge CNC EDM accommodates jobs as large as 24 x 34 in its 28 x 42 inch tank. The 440 pound capacity head and tool changer allow for a large range of work piece sizes. 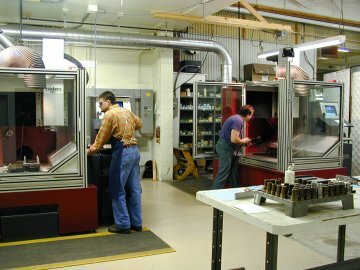 One model 600 and one model 760 Roders High Speed CNC mills allow us to routinely machine D-2 steel at 60 rockwell. 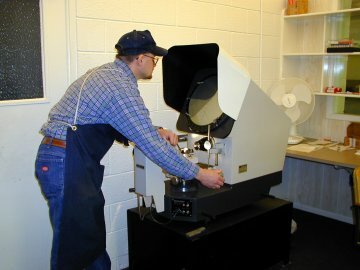 The combination of careful programming and proper machining techniques produce accurate finishes requiring very little hand dressing. The machining envelopes are 24 x 18 x 12 for the model 600 and 30 x 22 x 16 for the model 760. Our Mazak CNC Machining center's envelope of 20, 40, 20 and its versatility provide primary support to our mold / pattern making endeavors. 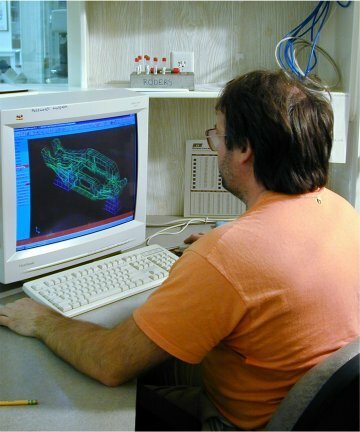 Our CAD-CAM design stations are networked to our machining centers allowing direct accommodation of large files. 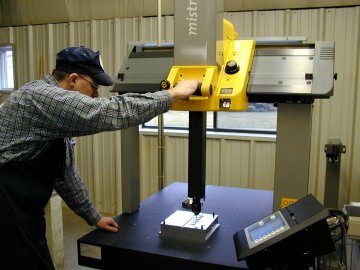 Our newest addition to our equipment is a Brown & Sharpe CMM. In addition to allowing us to inspect complex geometry in each mold, we now have the capability to reverse engineer your prototype or working part. Mitutoyo 18 inch Profile Projector bought in 1980. This gives our toolmakers additional ability to work close tolerance with 50X power magnification. We can visually examine our mold work for customer satisfaction. Pattern Maker adding extra finish stock per customer specifications. Pattern maker to left working on new pattern.